Daimler's willingness to partner with peers has limits, The automaker is not prepared to cooperate on features such as the MBUX infotainment system, Kallenius said. 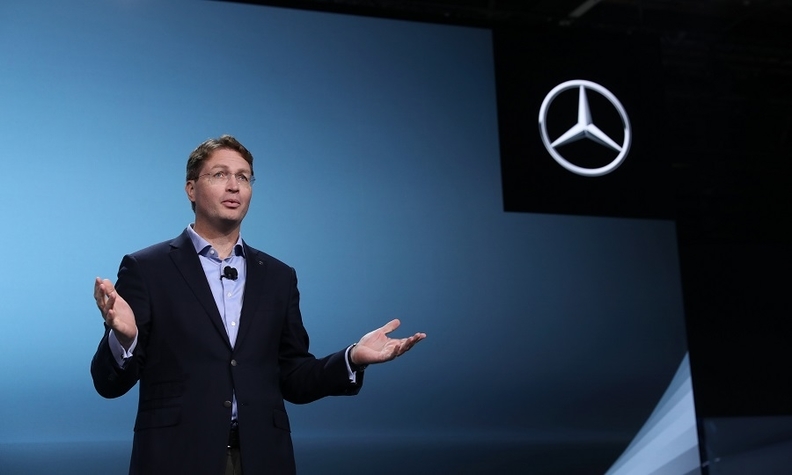 Daimler's incoming CEO, Ola Kallenius, said he is open to working with other automakers and technology firms to share the burden of the industry’s costly technology shifts. "We are open to talk, if there are concrete topics and it's a win-win situation," Ola Kallenius told reporters in Las Vegas. "But everything that’s important to our brand we will continue to do ourselves." Global automakers have stepped up alliances and collaboration projects in recent years, overcoming deep rivalries, to stem record investments in electric and self-driving cars as well as new digital services like ride-hailing. Daimler, maker of the world's bestselling luxury-car brand Mercedes-Benz, is currently merging its car-sharing offerings with German peer BMW to boost scale. The competitors are also mulling potentially deeper tie-ups. Sharing costs on making cars has been a key driver behind many alliances, including Daimler’s existing tie-up with Renault and Nissan. With the looming shift to electric cars, that pressure is only intensifying. Battery-powered models remain more expensive to produce than conventional combustion engine vehicles, with little choice for automakers but to boost sales to meet tightening emission limits. In addition, trade tensions and unpredictable fallout from Brexit are hitting automakers’ profits. "Increased spending on new technology, rising costs for fading out diesel, input-cost headwinds and a currency drag all add to Daimler's woes, suggesting Kallenius will be laser-focused on cutting costs,” Bloomberg Intelligence analyst Michael Dean said in a note. Signs of easing U.S.-China trade tensions have helped to put the company on firmer footing, he said. Kallenius, currently Daimler’s development head who will succeed veteran CEO Dieter Zetsche in May, said becoming more nimble and agile will be key to navigate through the industry’s transformation. "We have to sometimes think more like a software company and be fast," the 49-year-old said. Daimler is not prepared to cooperate on designing features such as the MBUX infotainment system, Kallenius said, reserving joint work for technology that is not brand-specific and not at risk of regulatory scrutiny. The new gadgetry includes voice control, restaurant search and artificial intelligence that adjusts lighting. Daimler already cooperates with BMW on purchasing certain components, and the two teamed up in 2015 together with Audi to acquire digital mapping company HERE Technologies.